Australia has foiled an Islamist-inspired "terrorist plot" to bring down an airplane with an improvised explosive, authorities said Sunday, after four people were arrested in raids across Sydney. Prime Minister Malcolm Turnbull said the plot appeared to be "elaborate" rather than planned by a lone wolf, as security was beefed up at major domestic and international airports across the nation. "I can report last night that there has been a major joint counter-terrorism operation to disrupt a terrorist plot to bring down an airplane," Turnbull told reporters. "The threat of terrorism is very real. The disruption operation, the efforts overnight have been very effective but there's more work to do." 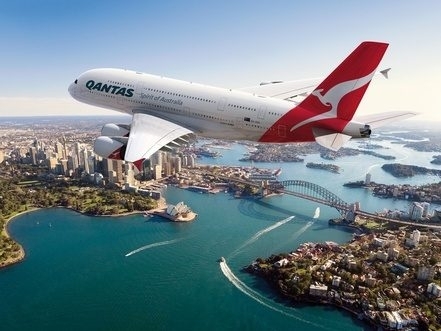 Officials did not specify if the alleged plot involved a domestic or international flight, but Sydney's Daily Telegraph reported that a local route had been the objective. Australian Federal Police Commissioner Andrew Colvin described the plot as "Islamic-inspired", saying four men had been arrested in a series of raids across Sydney on Saturday. "We do believe it is Islamic-inspired terrorism. Exactly what is behind this is something we need to investigate fully," he said. Colvin added that local authorities had received "credible information from partner agencies" about the claims but would not elaborate further or state if the men were on any watch list. "In recent days, law enforcement has become aware of information that suggested some people in Sydney were planning to commit a terrorist attack using an IED (improvised explosive device)," he told reporters. He added that several items "of great interest to police" had been seized in the raids but police did not yet have a great deal of information on the specific attack, the location, date or time. He said the investigation was expected to be "very long and protracted." "However, we're investigating information indicating the aviation industry was potentially a target of that attack." Colvin would not provide further details, but the Australian Broadcasting Corporation said police found items that could be used to make a homemade bomb in one of the raided homes Saturday. Authorities believed they planned to smuggle the device onto a plane to blow it up, the ABC added. Four men were arrested Saturday after armed police stormed homes in at least four neighborhoods, though their names and ages have not been released and they have not been charged by police. The Seven Network reported 40 riot squad officers moved on a terraced house in the inner city suburb of Surry Hills, as TV footage showed a man with a bandage on his head being led away by authorities, draped in a blanket. Sections of surrounding roads remained cordoned off on Sunday as forensic officers and investigators wrapped up and removed items from the house. Airline passengers have meanwhile been asked to arrive at least two hours early for domestic flights and three hours for international routes, and to limit their baggage. "Australia has very strong safeguards in place at its airports; these changes are about making them even stronger," Australian carrier Qantas said. Airline Virgin Australia stressed that the additional airport security measures were just "precautionary" and passengers "should not be concerned." Turnbull said the national terror alert level, which was raised on September 2014 amid rising concerns over attacks by individuals inspired by organizations such as Islamic State, would remain at probable. "The primary threat to Australia still remains lone actors, but there's still the ability for people to have sophisticated plots and sophisticated attacks still remain a real threat," he told reporters Sunday. The prime minister added that the alleged plan appeared to be "more in that category of an elaborate plot." Several terror attacks have taken place in Australia in recent years, including a Sydney cafe siege in 2014 that saw two hostages killed.